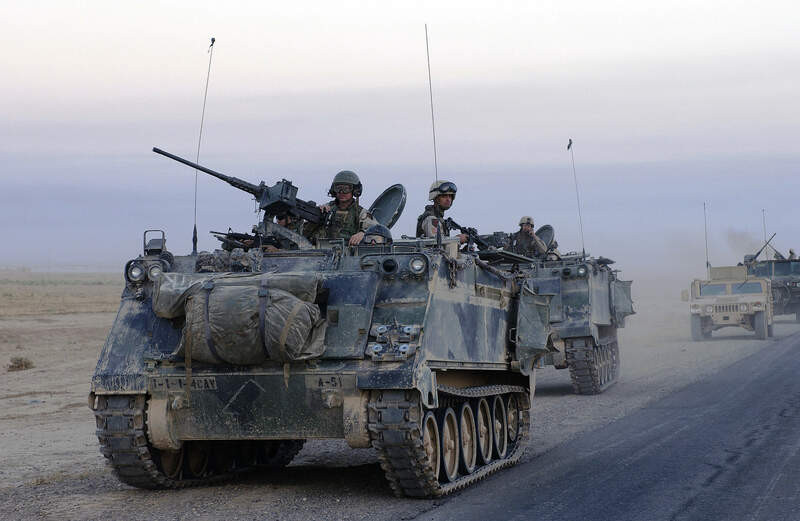 Did you know that armored vehicles have been in use for more than 100 years? The Armored Group, who has been creating armored vehicles since 1992, has created this guide to historical armored vehicles we bet you did not know existed. In 1487, long before the combustible engine had been invented, Leonardo da Vinci had a design in mind for an armored vehicle. 1906 the Rolls Royce Ghost, or the “Silver Ghost,” as it came to be called, was one of the first vehicles to be commissioned for military work. In 1914, the Royal Naval Air Service in Britain raised the first British armored car squadron, which consisted of the Ghosts outfitted with armored bodywork and a single turret for a Vickers machine gun. 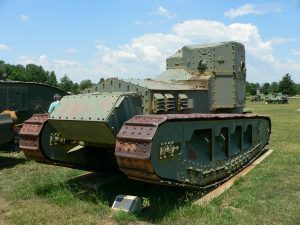 1917 The Medium Mark A Whippet was a cheap, fast, mobile tank used during WWI by the British against retreating German infantry divisions. Because it was very light and agile, the Whippet was able to travel faster from location to location and cut off enemy forces. 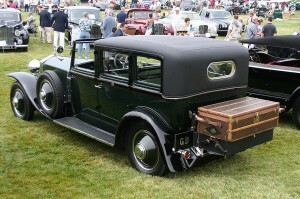 After the war, it was used in Irish and Russian skirmishes, but was replaced by the Rolls Royce Phantom due to the Phantom’s car-like appearance. 1920 – 1924 The Rolls Royce Pattern was the name of the line of armored vehicles Rolls Royce began producing for the British military. 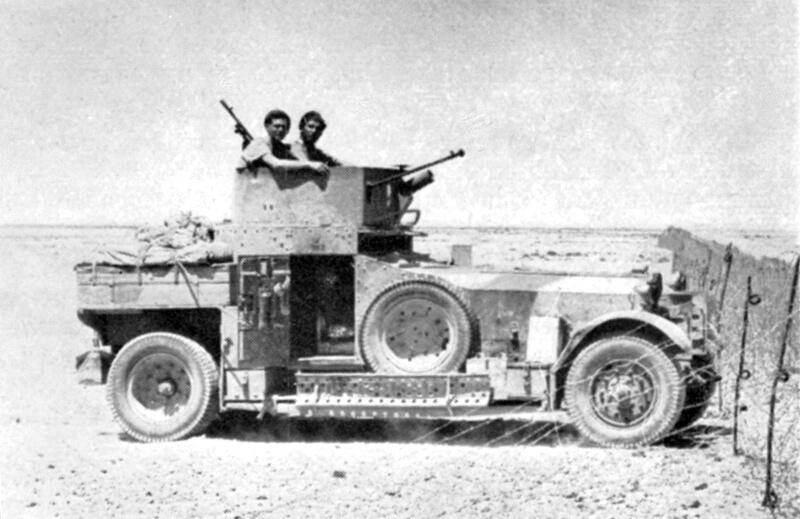 These cars served in Britain’s fight with their various colonies in Africa and the Middle East. They were most famous for Lawrence of Arabia’s use of them in his fight against Turkish forces during his revolt in the desert. 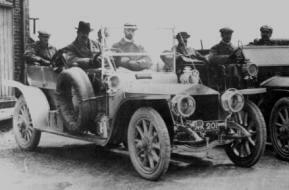 A squadron of the armored cars was also given to the Irish Free State by the British Government to fight the Irish Republican Army. At the start of WWII, 76 Rolls Royce Patterns were still in service. The M8 Scout Car was manufactured by the Ford Motor Company in 1941 as a tank destroyer. 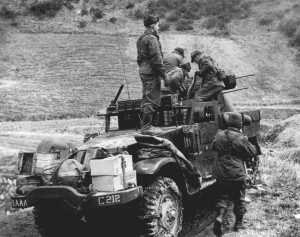 Unlike the Rolls Royce models, the M8 retained a tank-like appearance and was outfitted with a 37 mm M6 gun and a .30 in Browning machine gun in an open-topped turret. Used by Patton’s Third Army, the M8 were referred to as “Patton’s Ghosts” because they were never detected by the enemy until it was too late. The M8s were used regularly until 1962, but there are still a few in service today. The 1942 M3 Armored Half Track was used during WWII and the Cold War. Unlike the M8, the M3 looks more like modern conceptions of a military truck. The cab has a closed top, but the bed is open to allow for easy transportation of troops. This also caused the vehicle to be called a “purple heart box” by troops because it provided little cover from artillery. 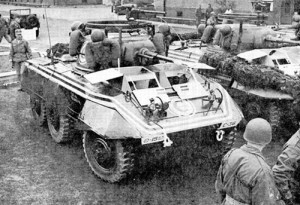 The M113 Armored Personnel Carrier was designed in 1962 as a kind of medium between cars and tanks. 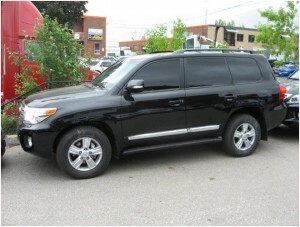 The vehicle features treads like a tank, as well as more fortified armor, but also has an open top and mounted turret. It was used originally in the Vietnam War, but was continually used by US Armed Forces until 2007. 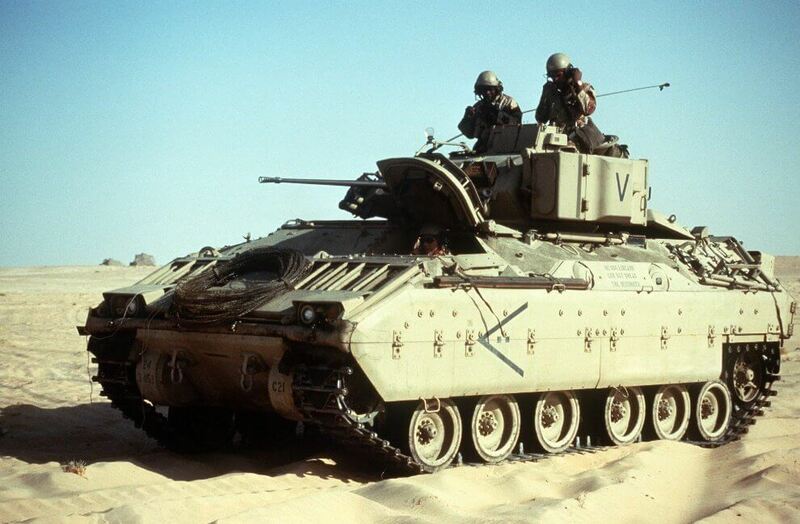 The Bradley Fighting vehicle was named after WWII General Omar Bradley. Production on the vehicle began in 1980 for the use of the US Military. It was designed to provide protected transport of an infantry squad to critical points. 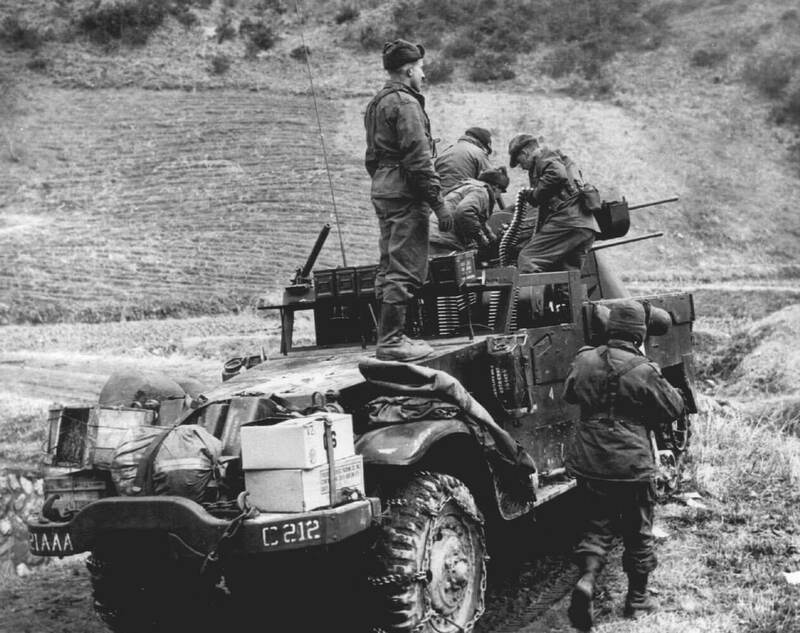 It can carry up to six passengers and provide cover fire for the infantrymen as they dismount. There are also six ports for the passengers to engage the enemy from within the protection of the vehicle. These are still used at times today. Our modern technology has heralded in an era of personal security vehicles as never before. From armored SUVs, to transit vehicles, to bulletproof sedans, the possibilities for civilian armored vehicles are endless. 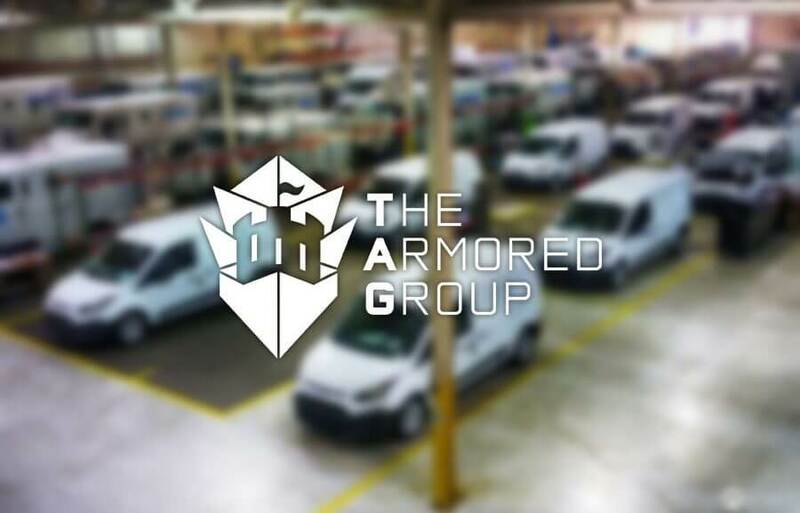 One of the advantages the vehicles from The Armored Group have is that they are designed with your needs in mind and are extremely inconspicuous. For a list of common armored vehicles used by executives and secret service, check out our archives. If you’d like more information about the services we offer and our currently available vehicles contact us online or call us at 1-855-824-7233.